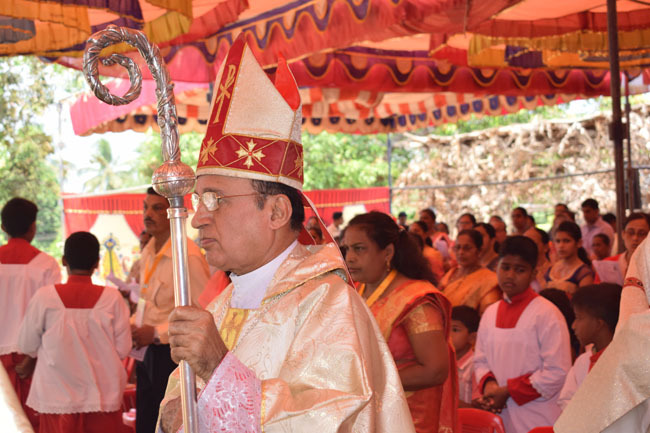 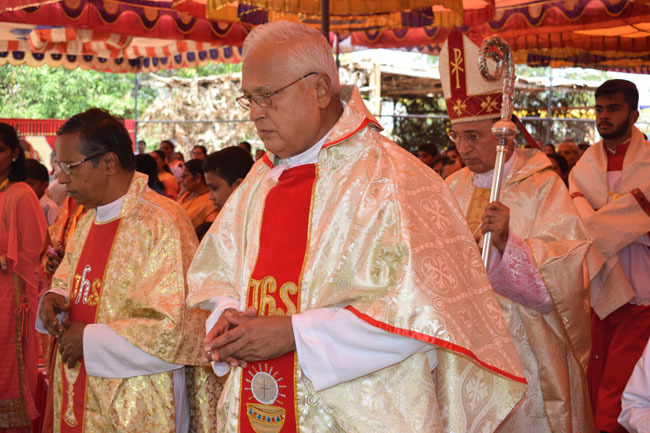 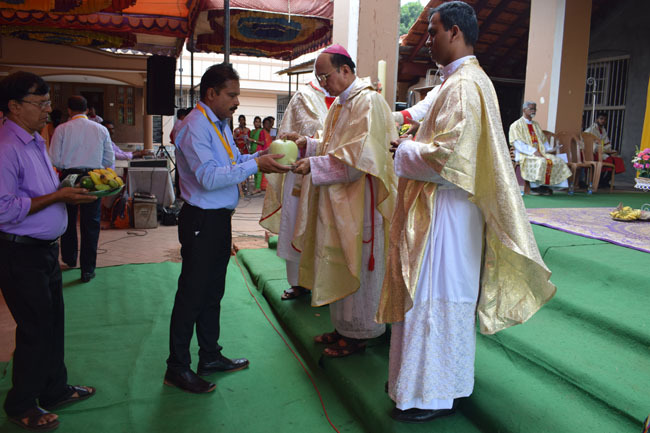 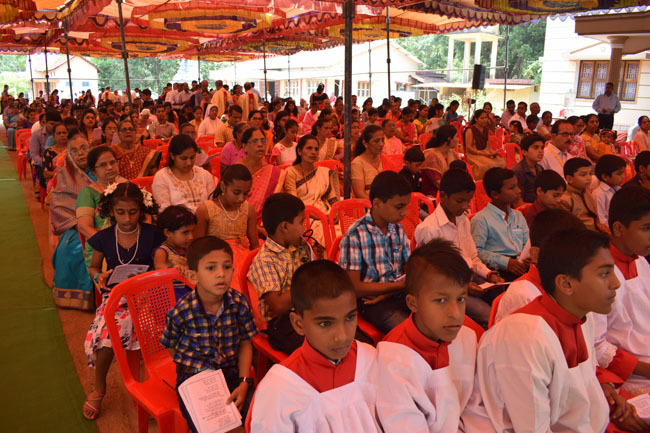 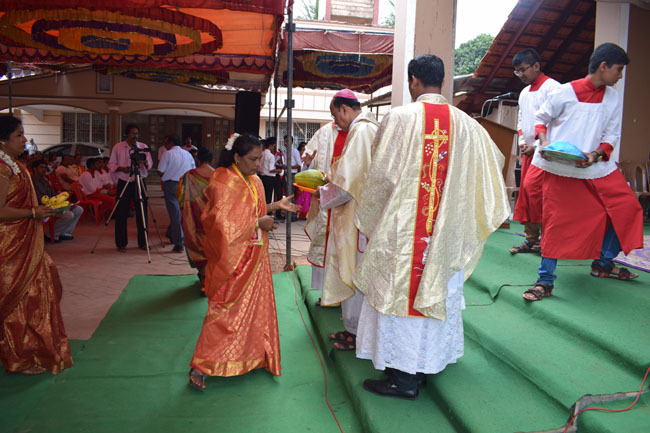 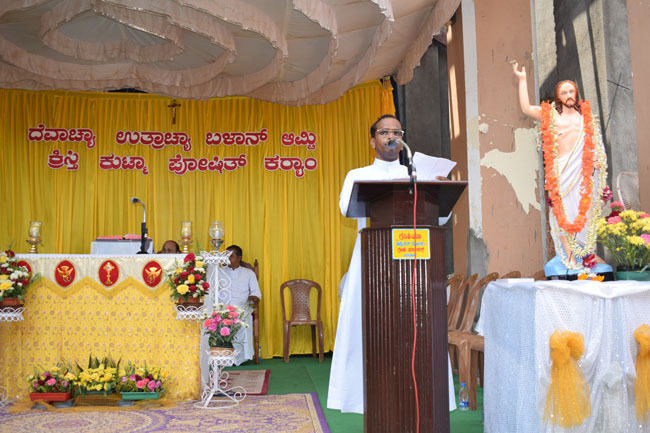 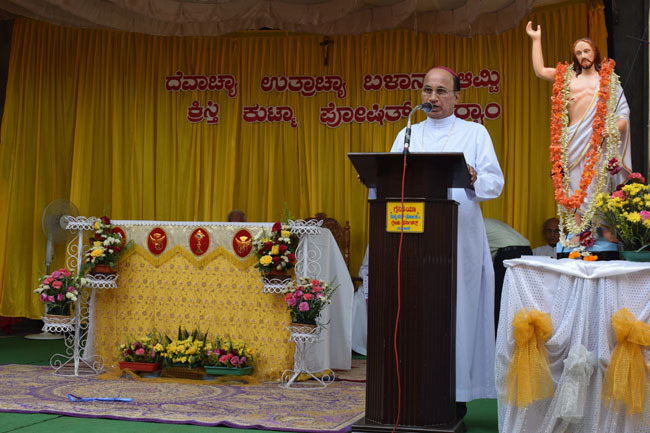 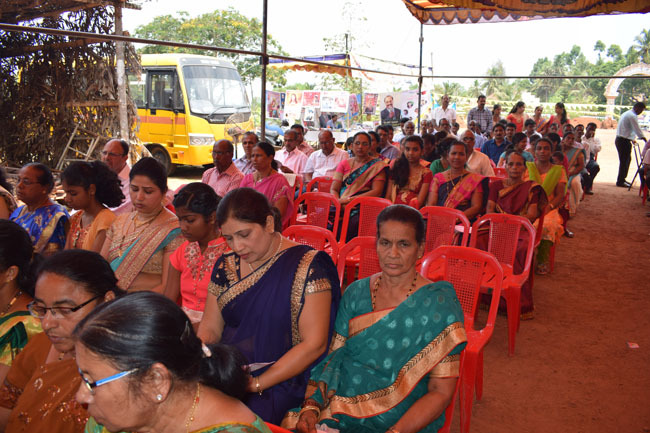 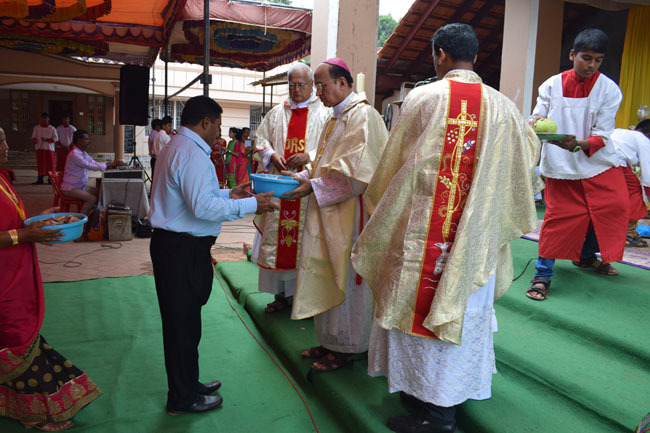 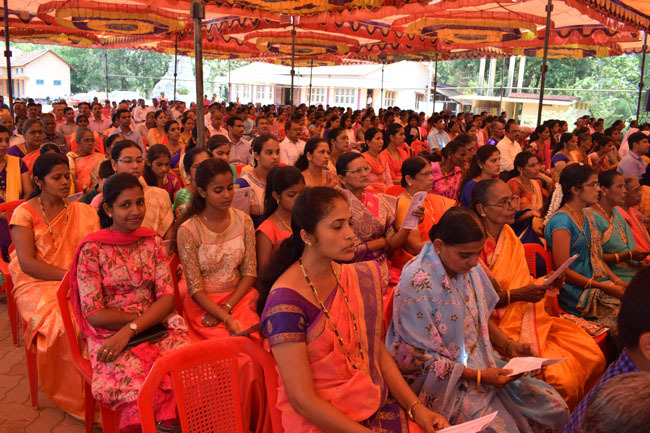 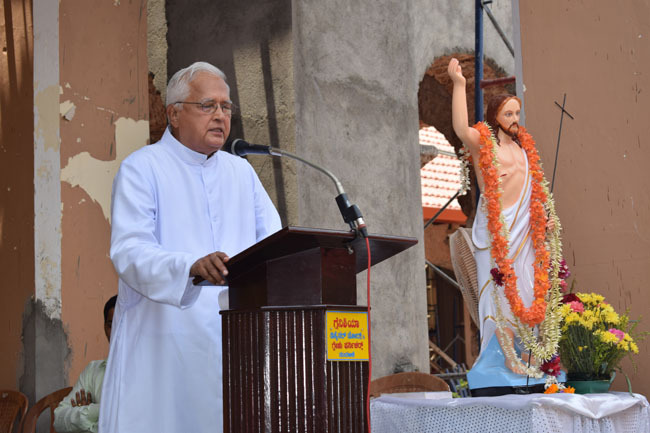 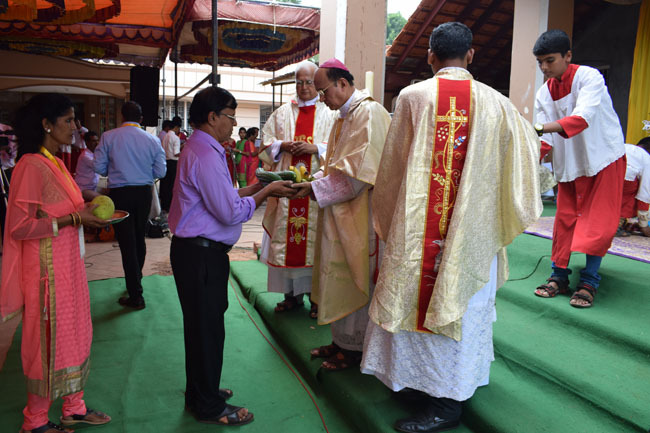 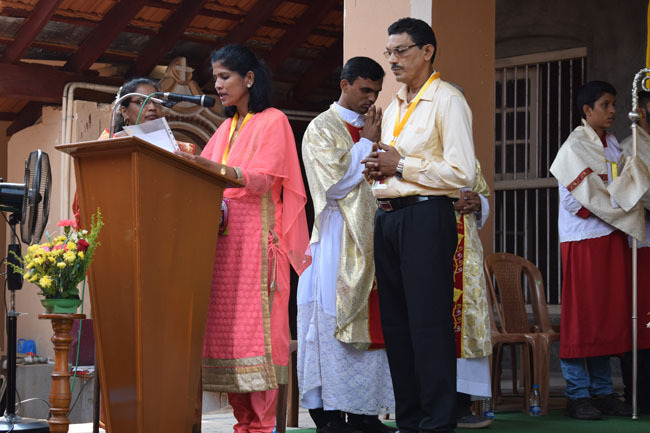 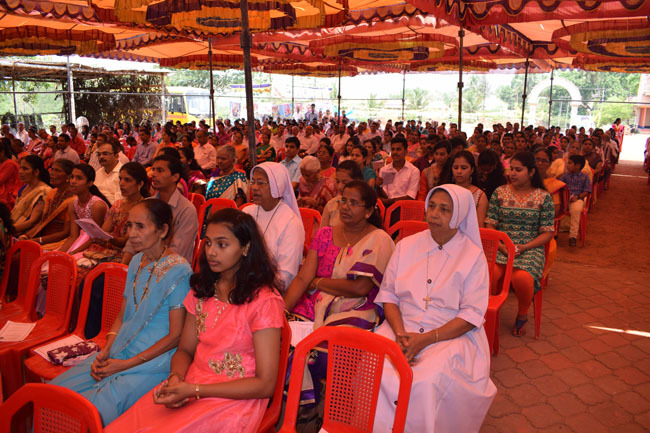 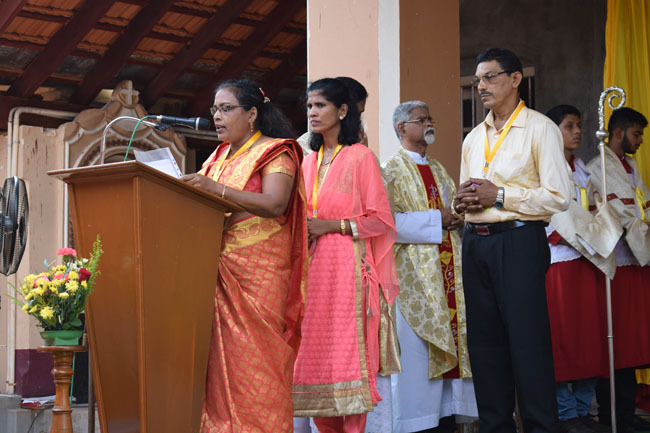 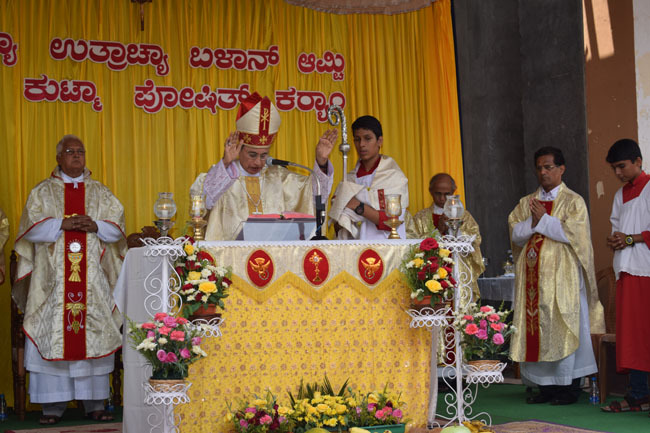 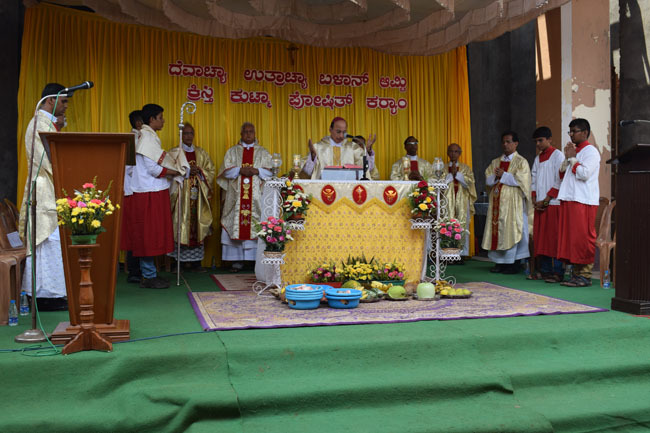 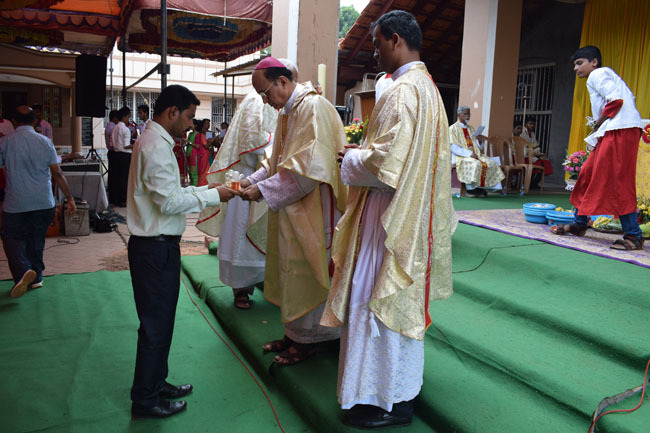 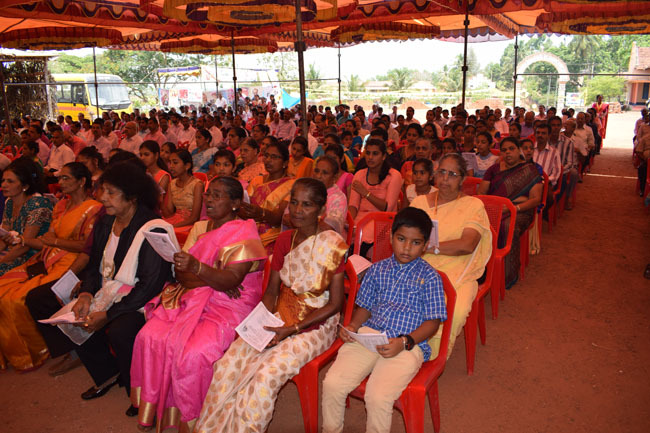 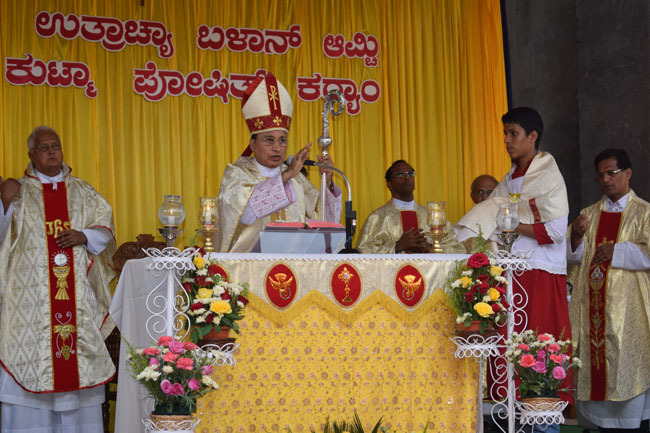 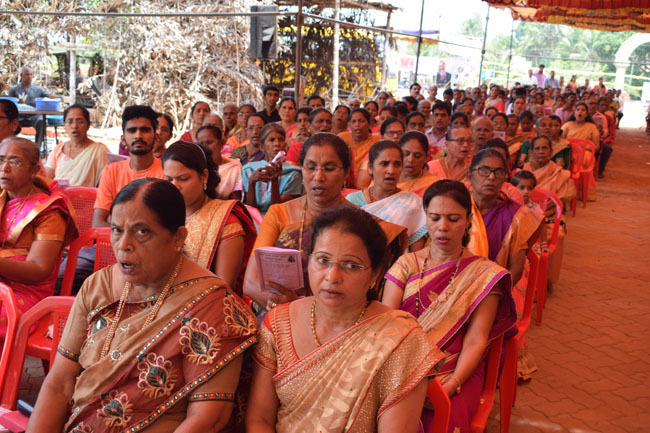 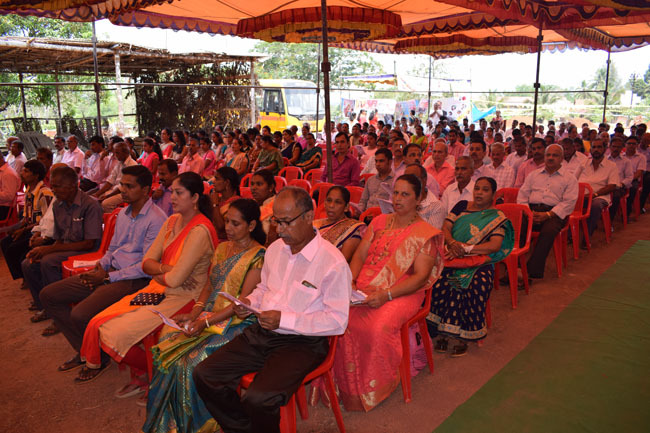 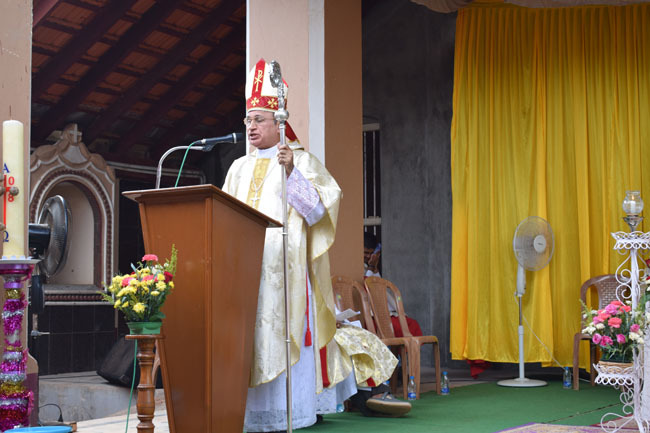 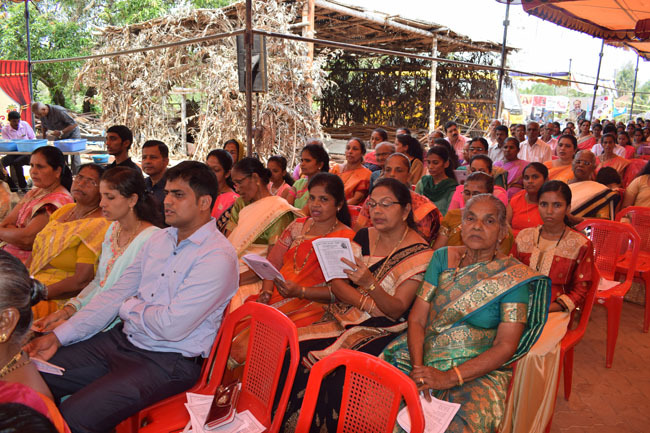 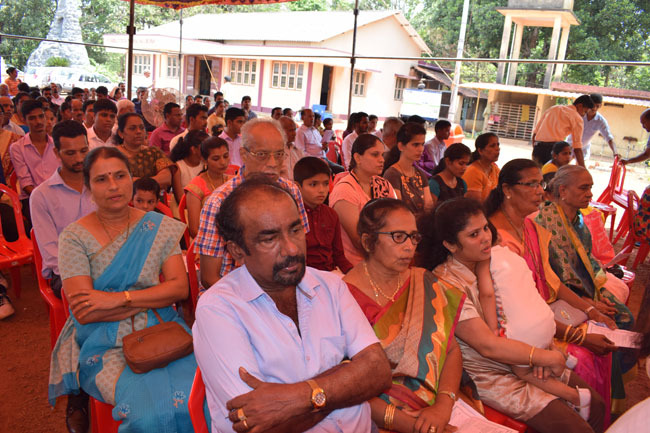 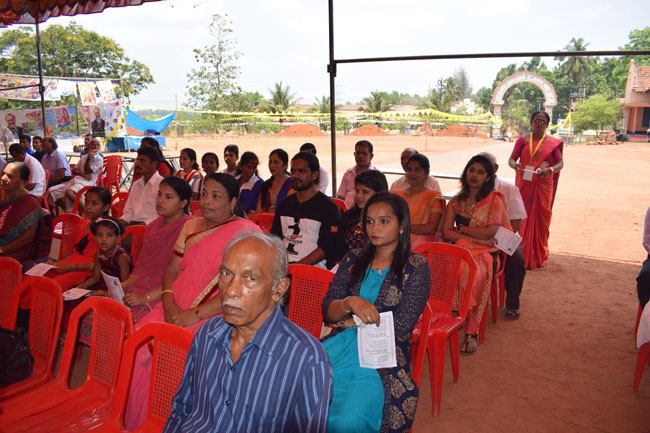 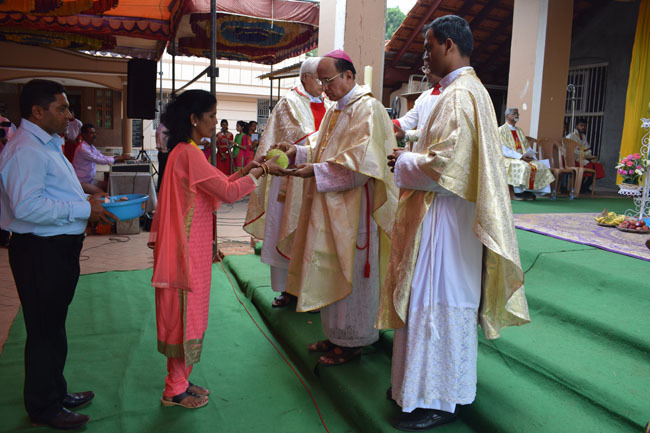 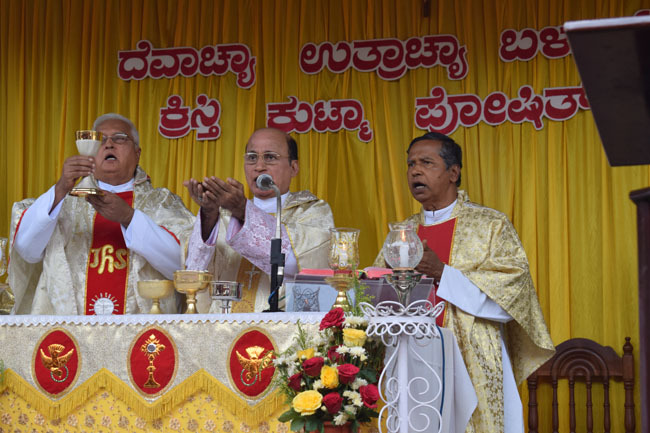 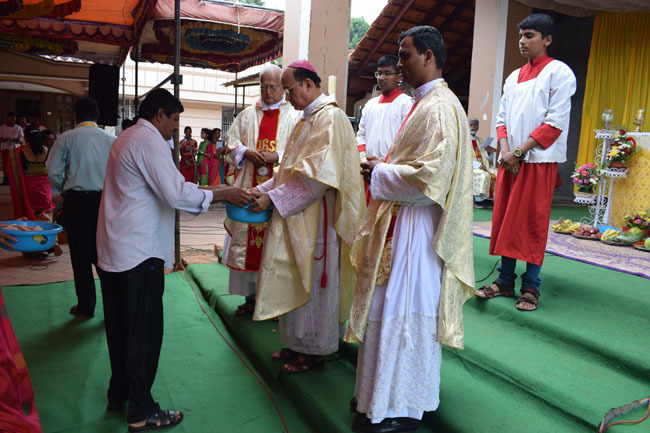 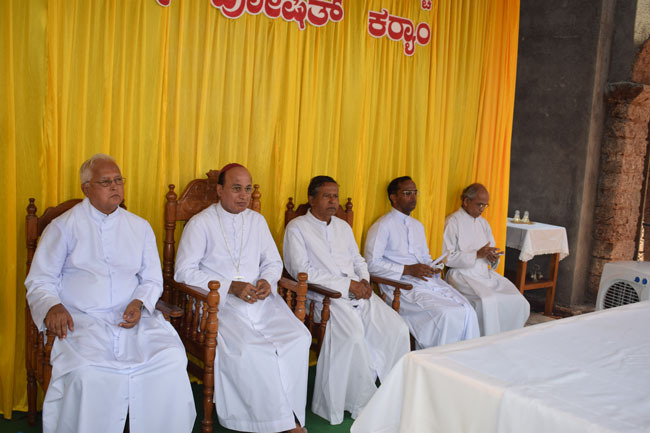 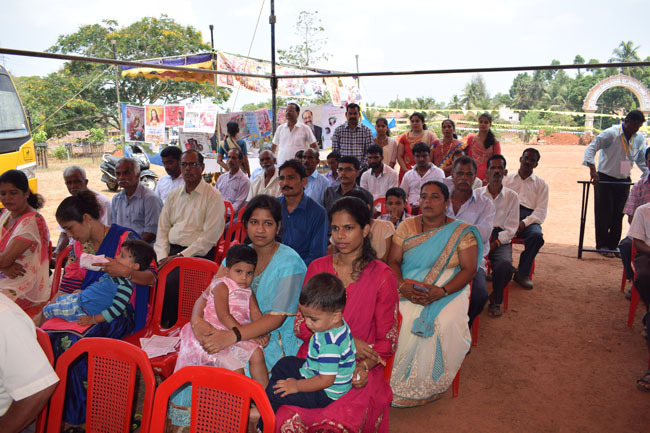 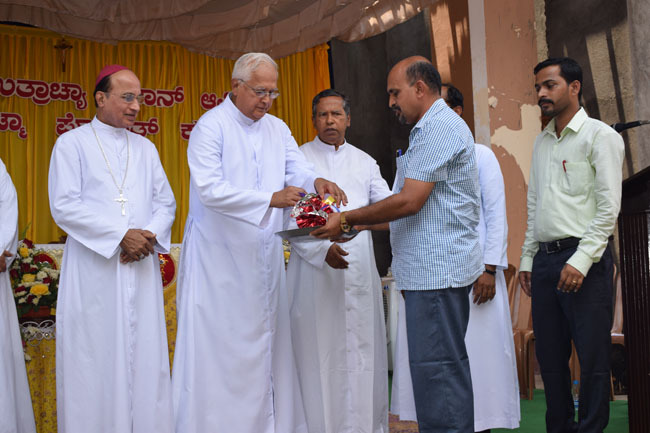 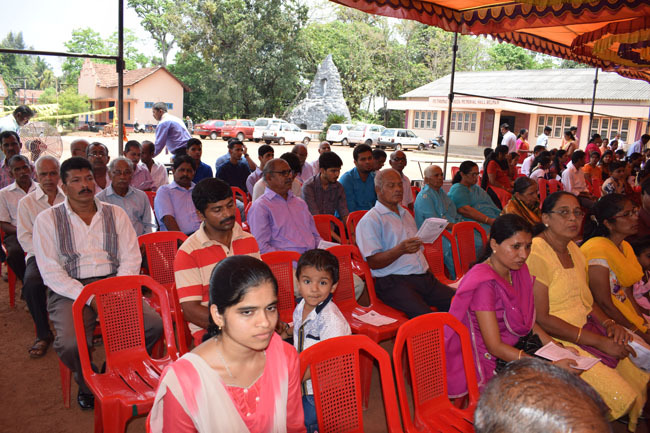 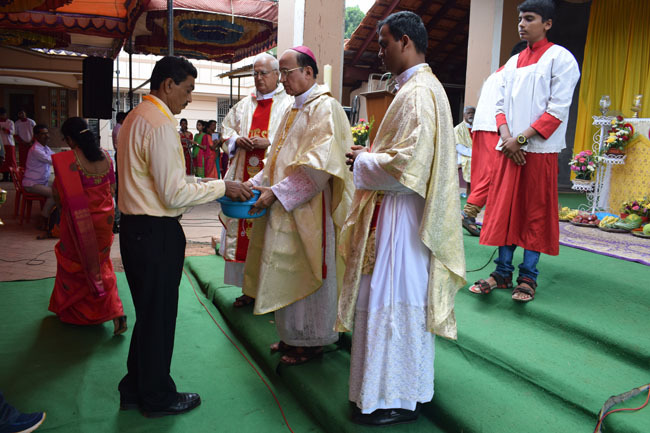 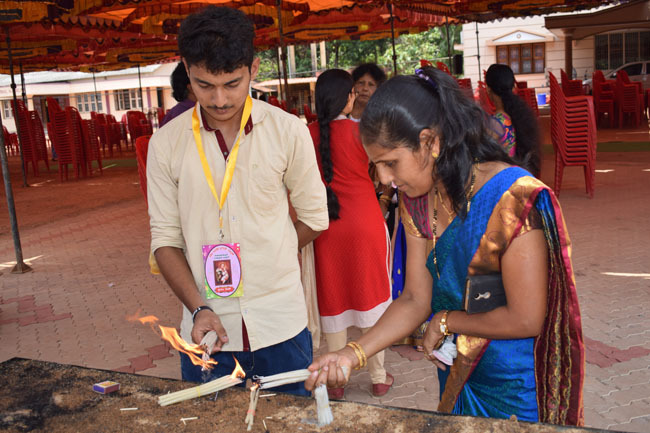 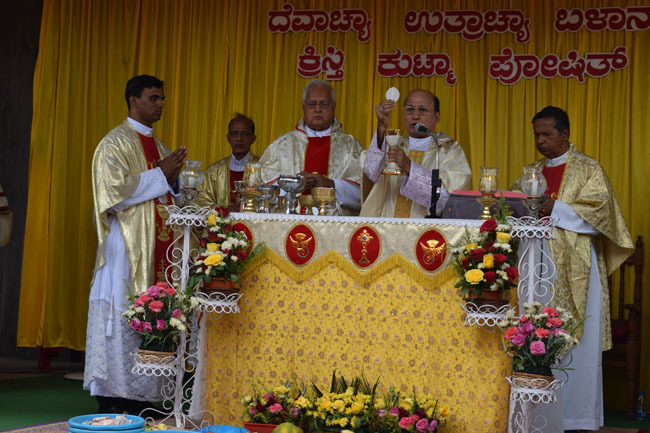 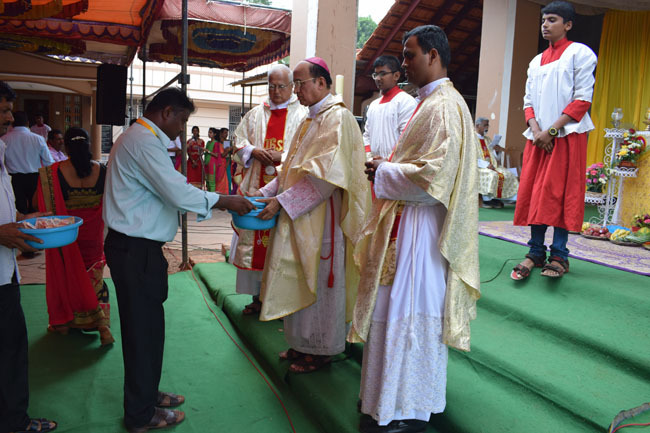 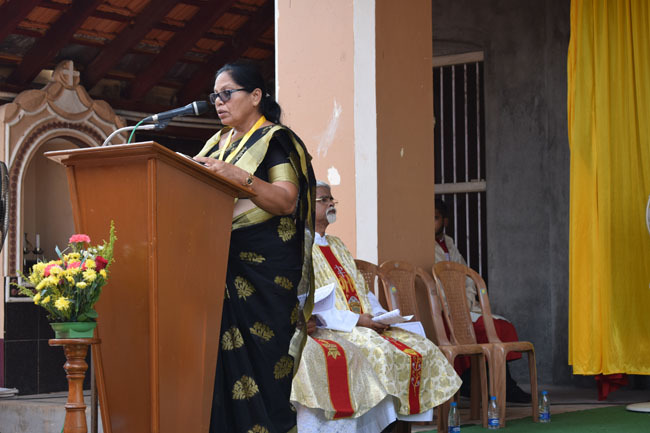 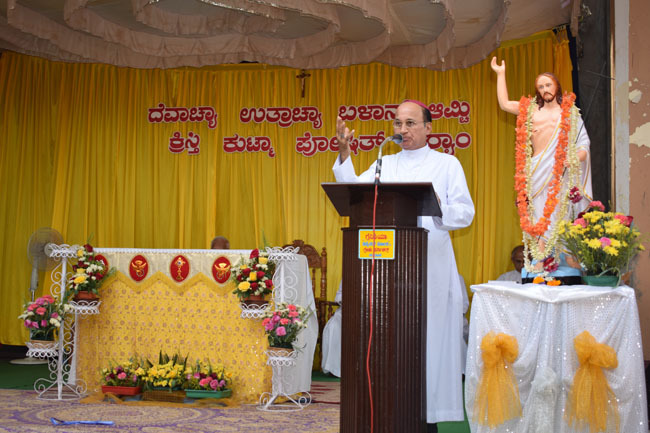 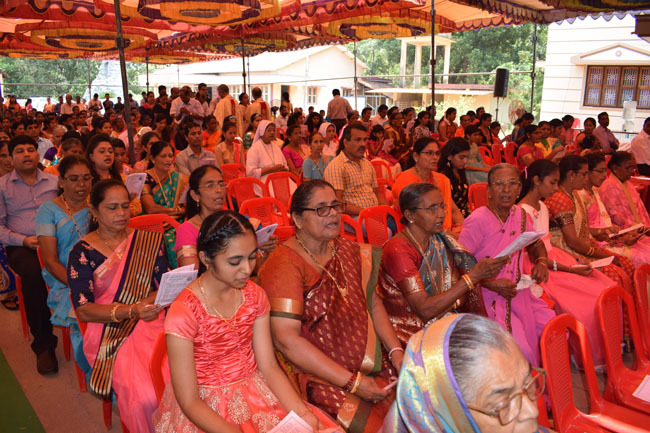 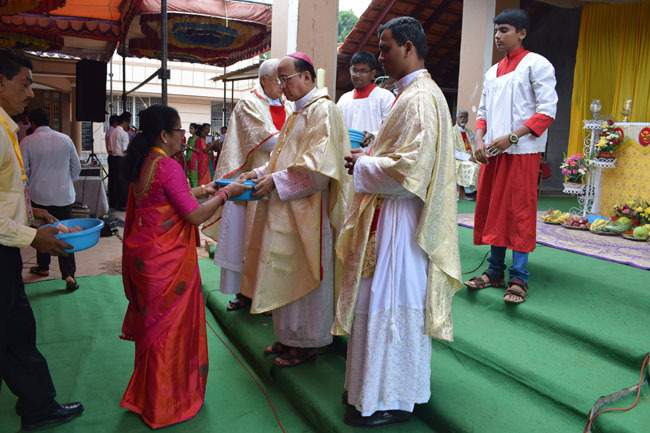 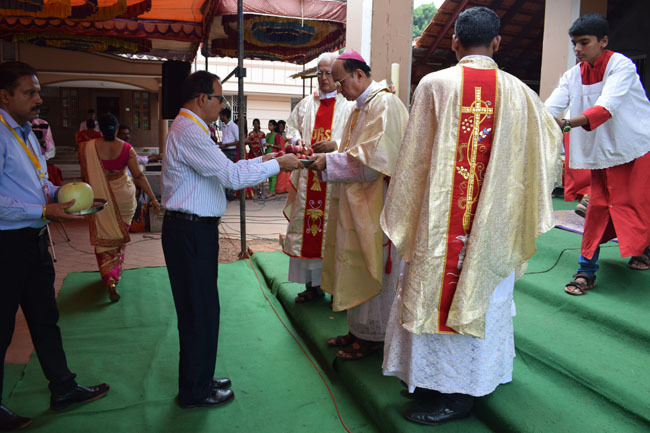 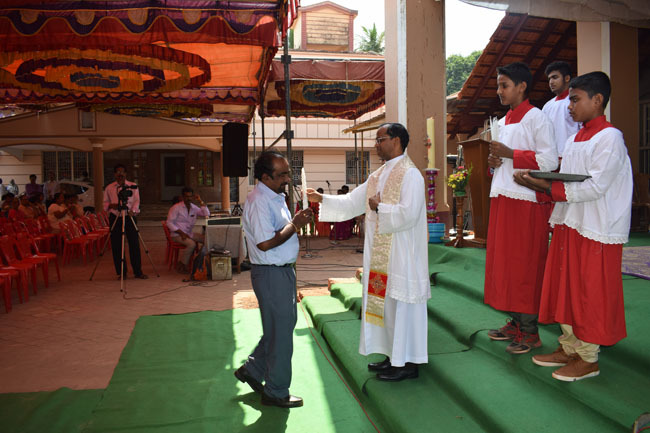 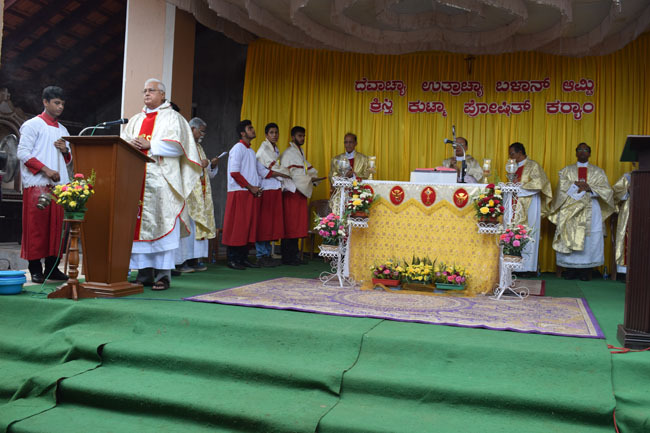 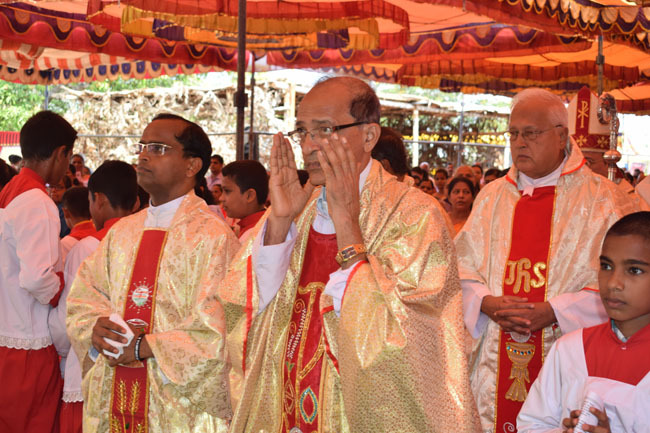 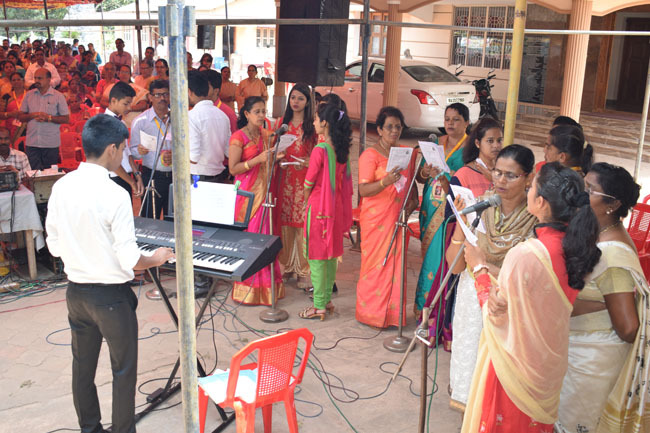 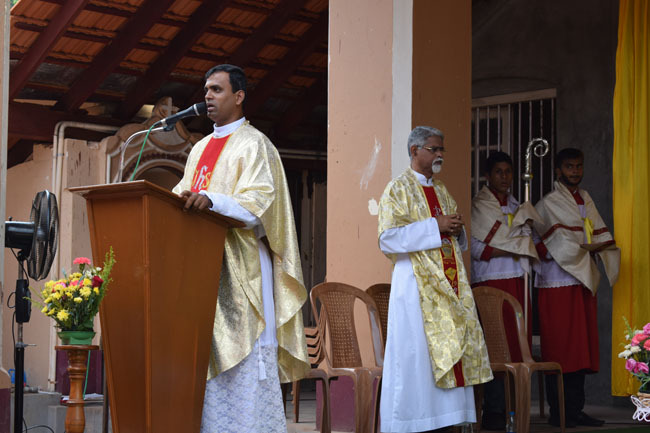 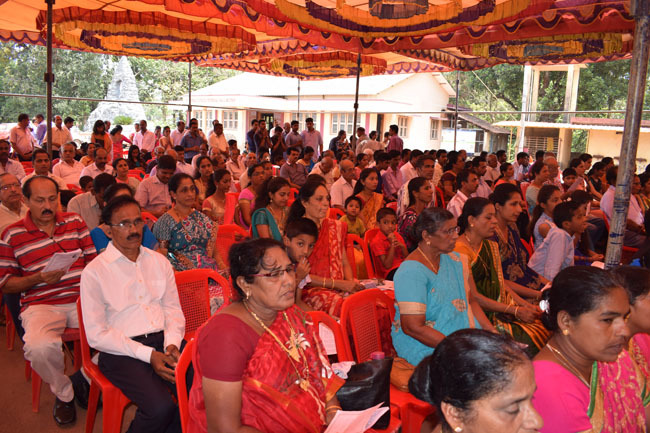 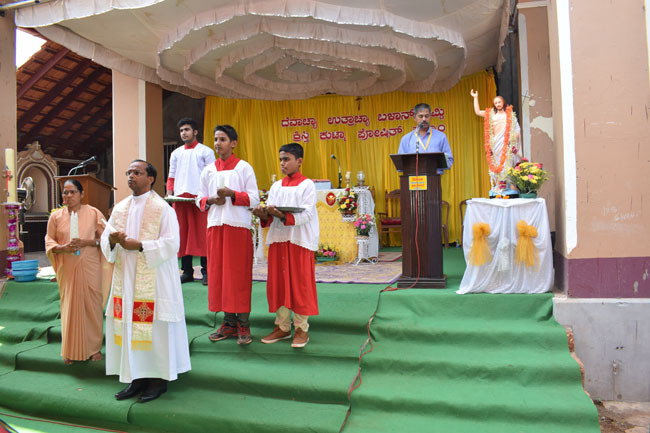 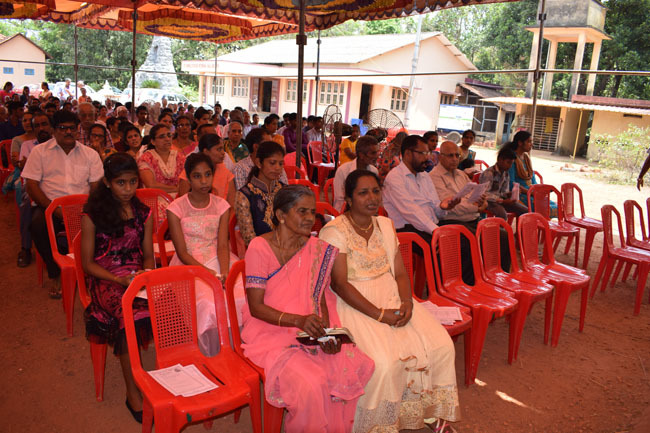 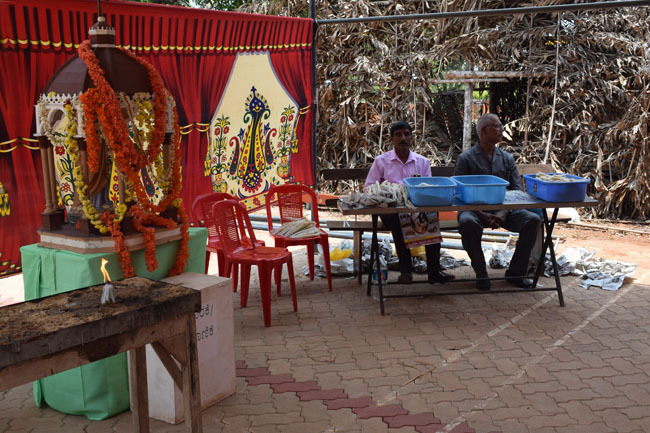 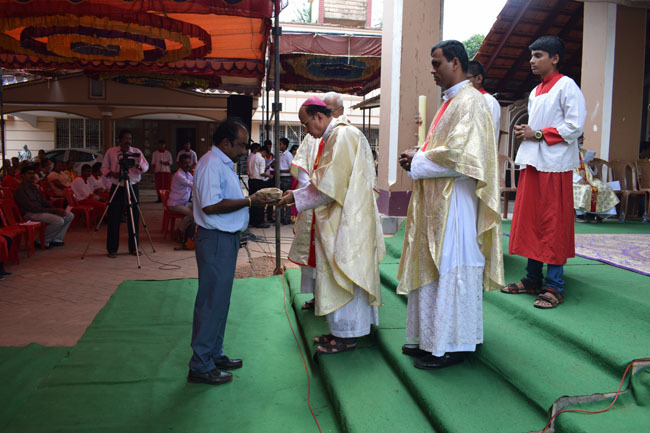 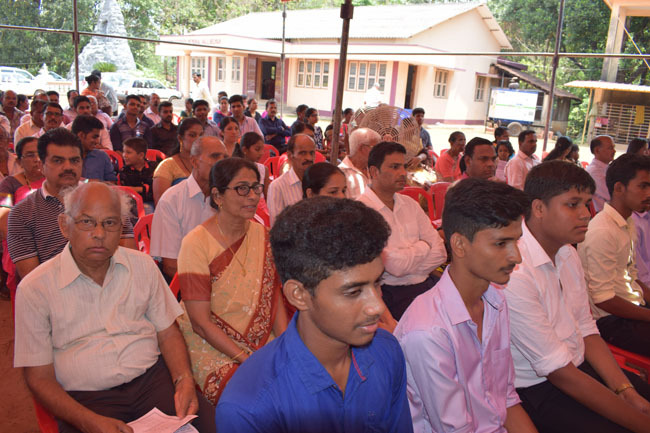 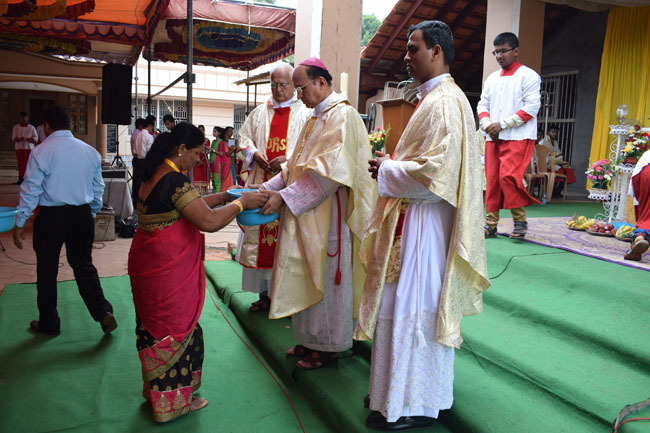 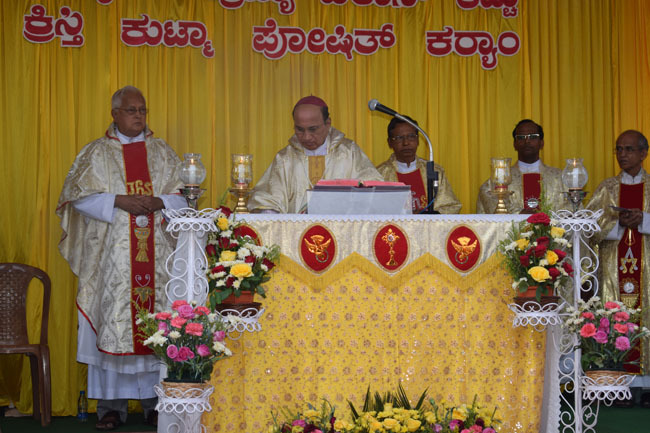 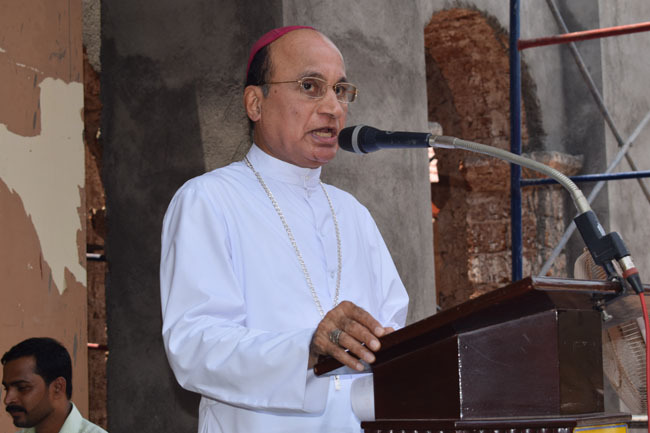 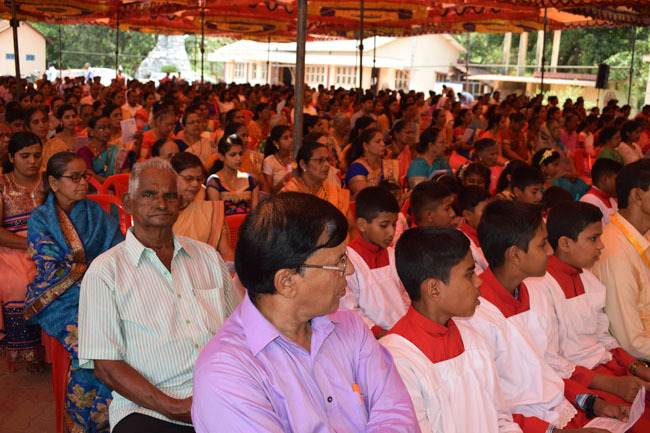 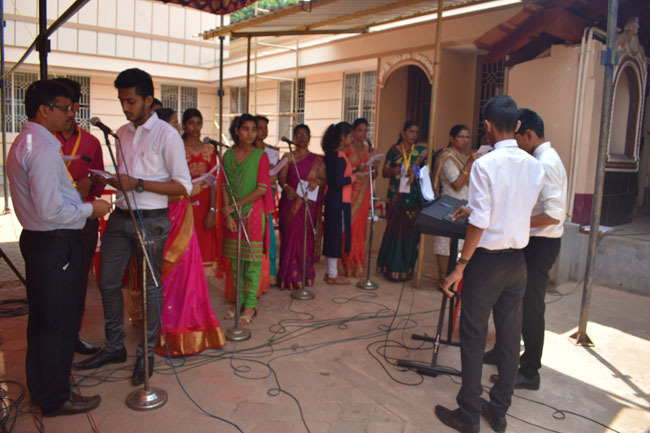 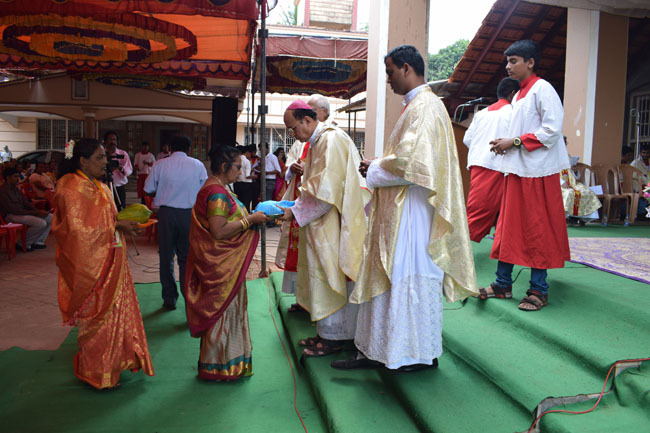 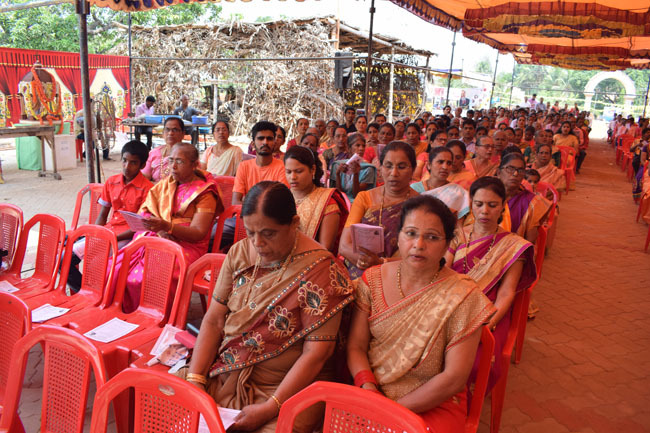 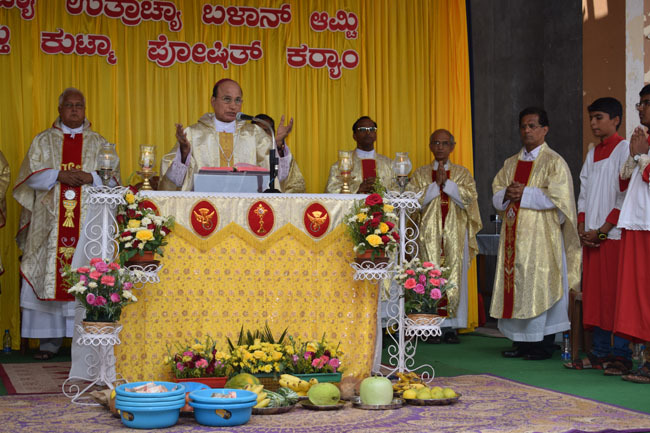 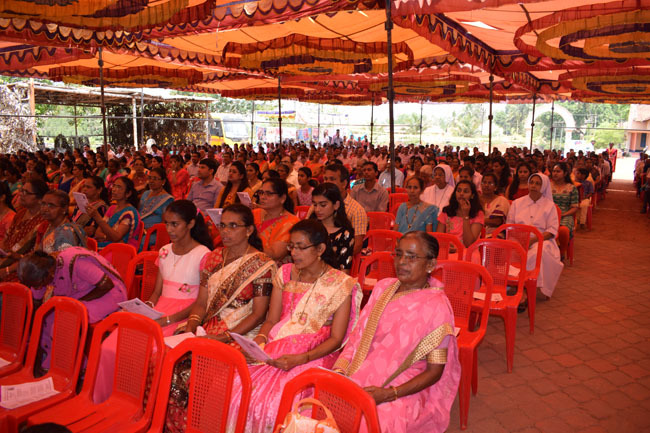 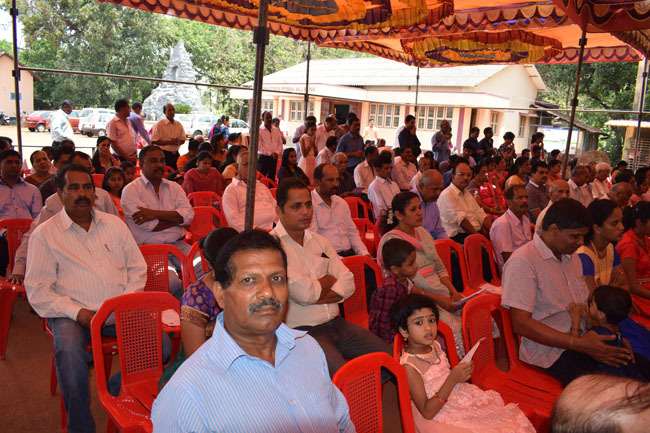 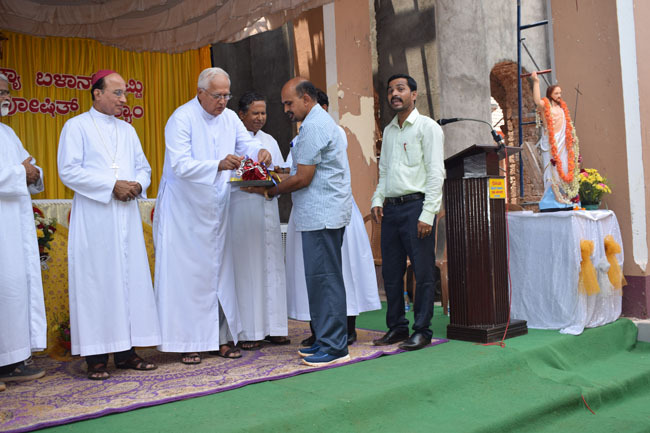 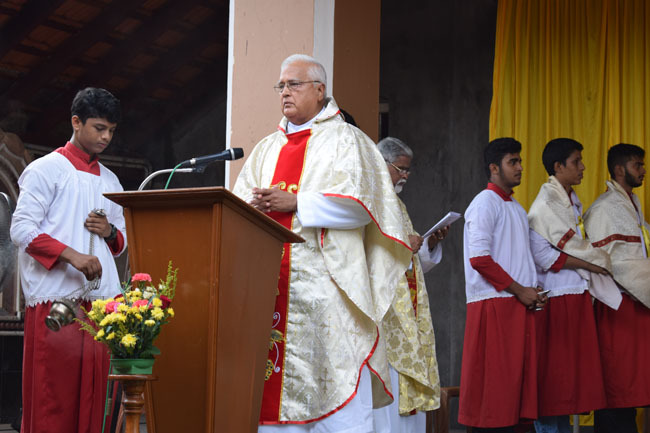 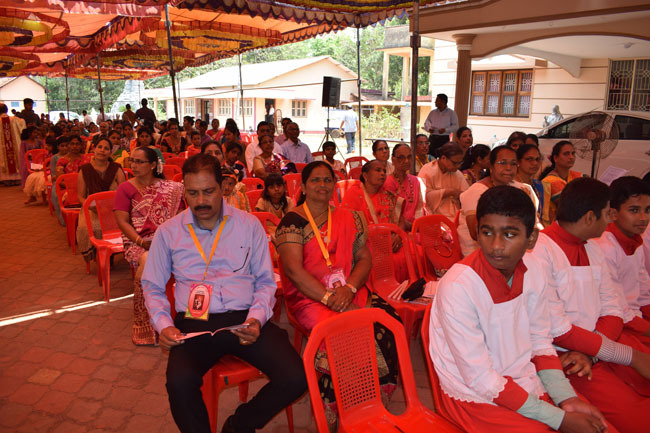 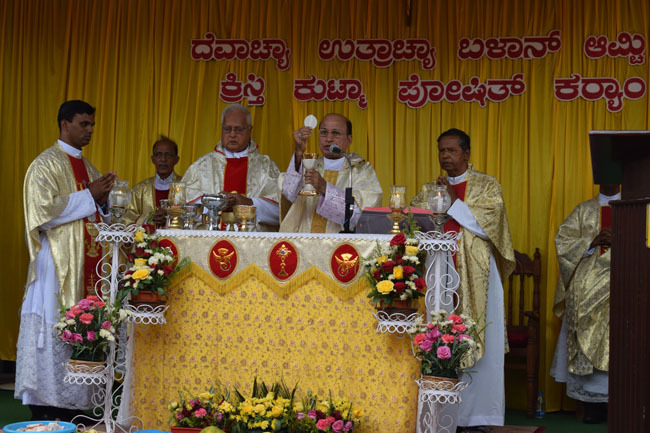 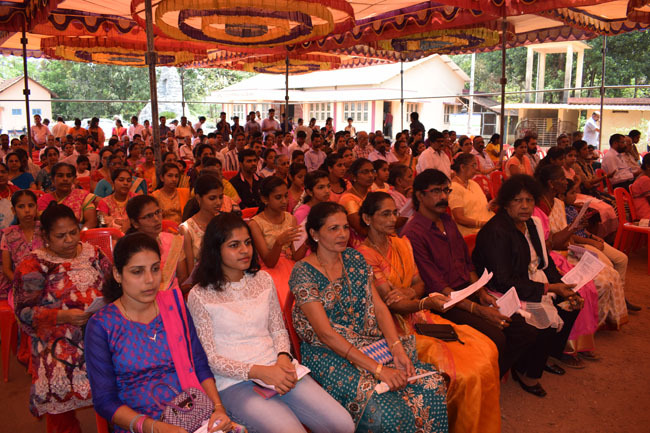 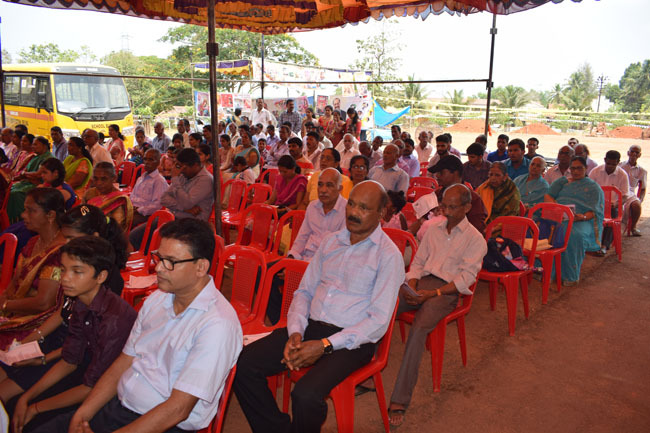 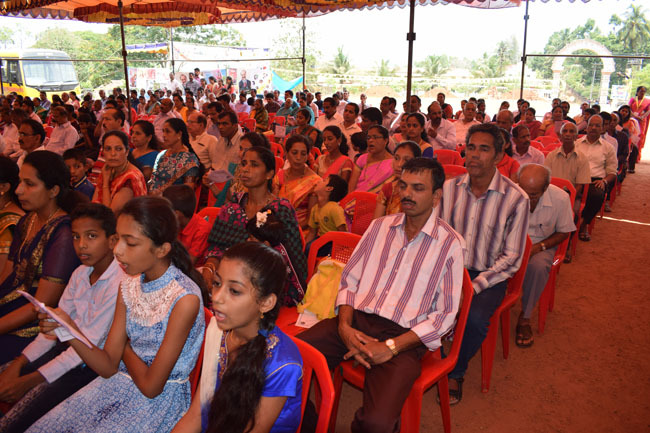 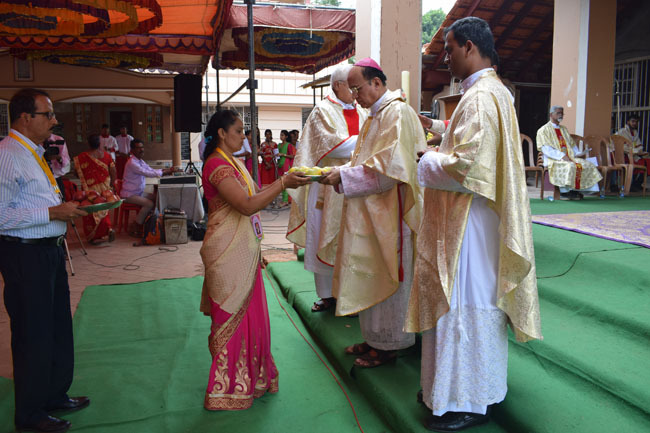 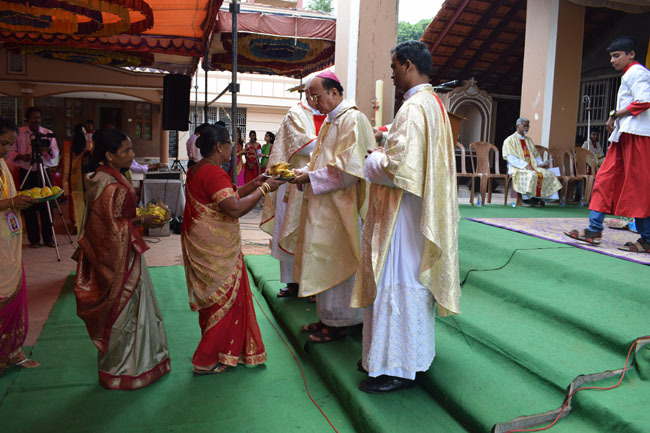 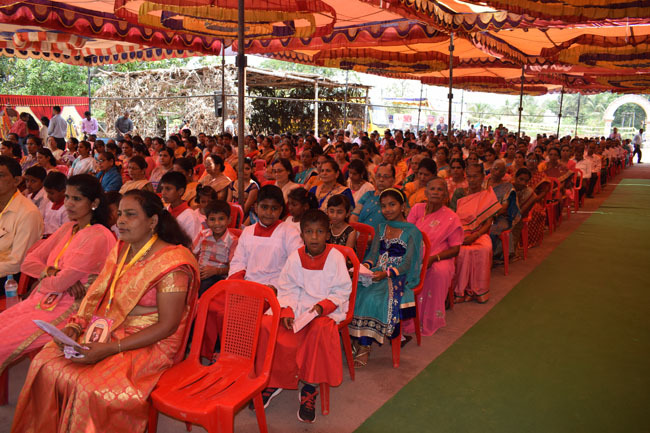 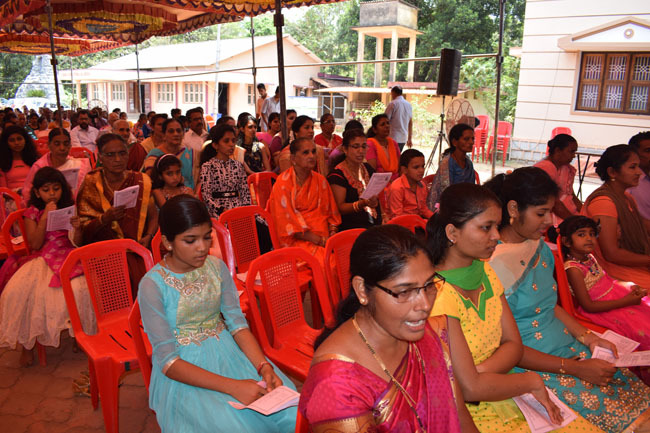 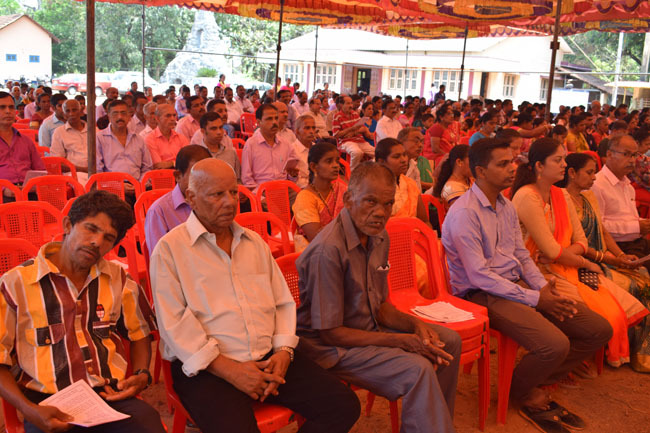 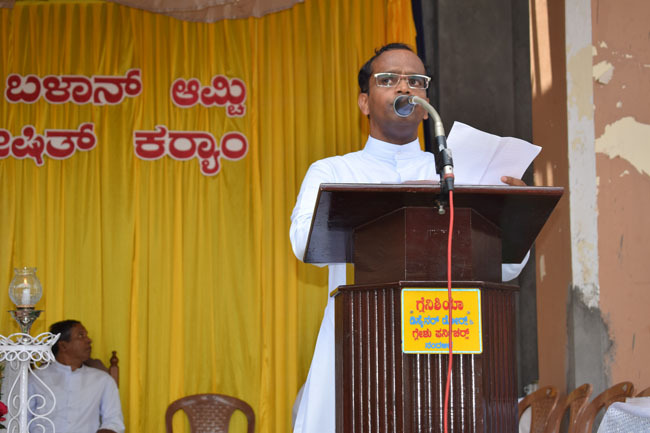 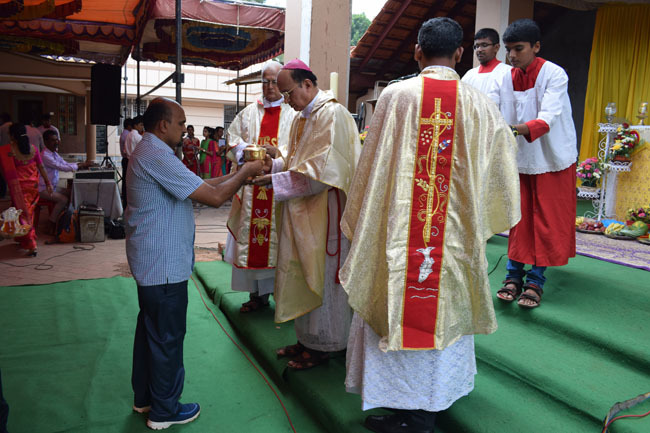 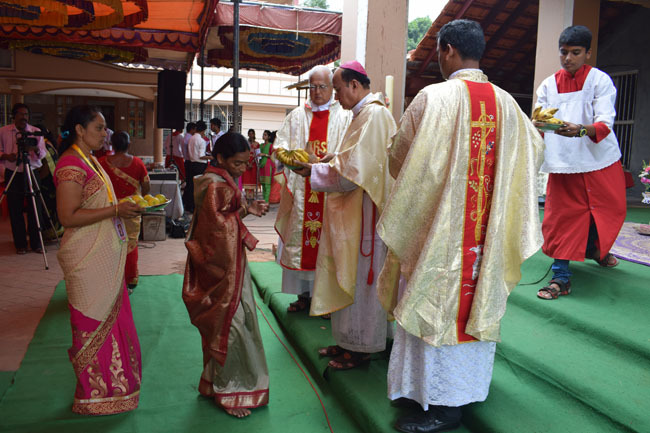 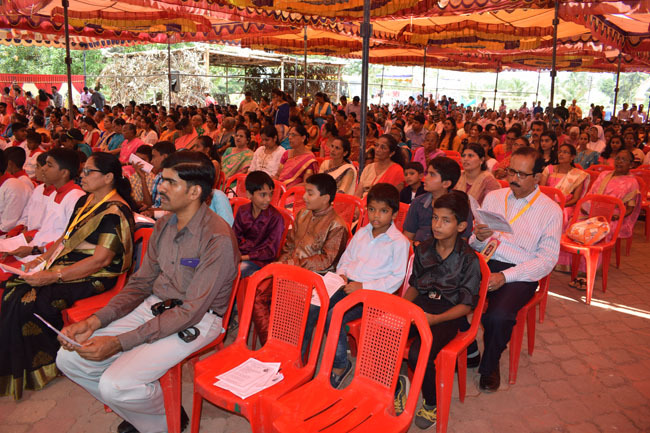 Karkala, 16 Apr 2018: Bishop Dr Gerald Lobo of Udupi diocese launched post centenary jubilee year at St Joseph’s Church, Belman, here, on April 11, during Thanksgiving Mass that he concelebrated along with many clergies. 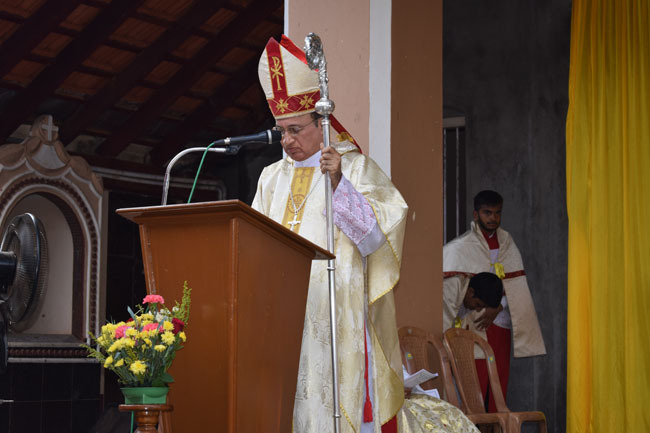 In his homily, Bishop highlighted thanking the Lord for his endless blessing showered on the faithful, to forget and forgive the wrong doing of each other and to celebrate the jubilee year all together as one family. 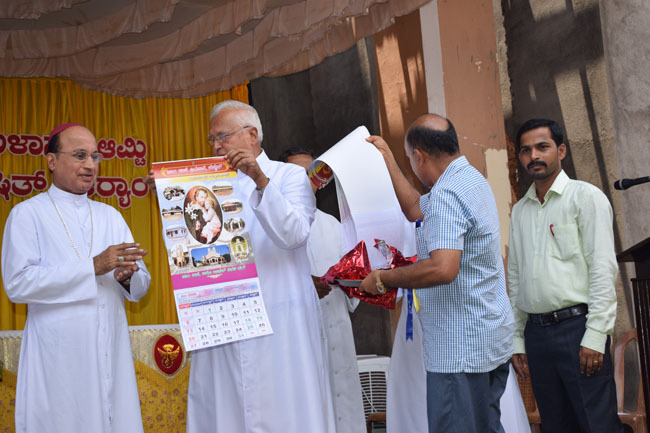 After the Mass, a simple function was held to launch the jubilee year symbolically by releasing the jubilee calendar. 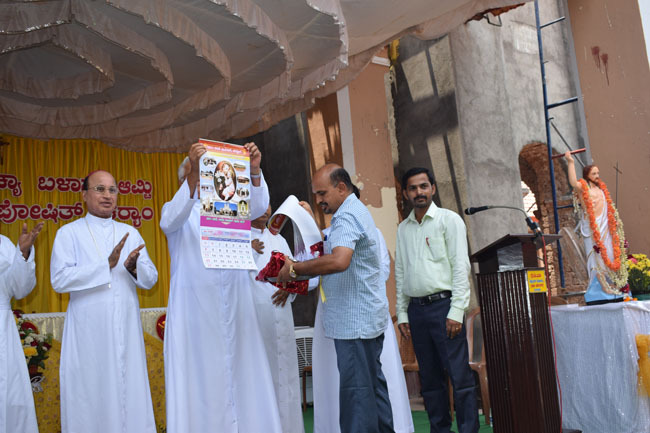 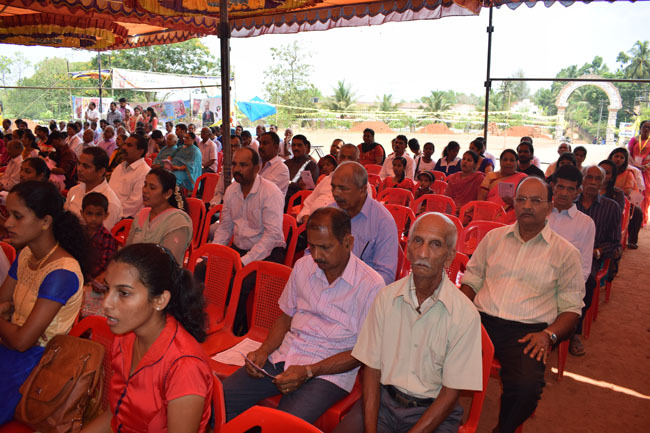 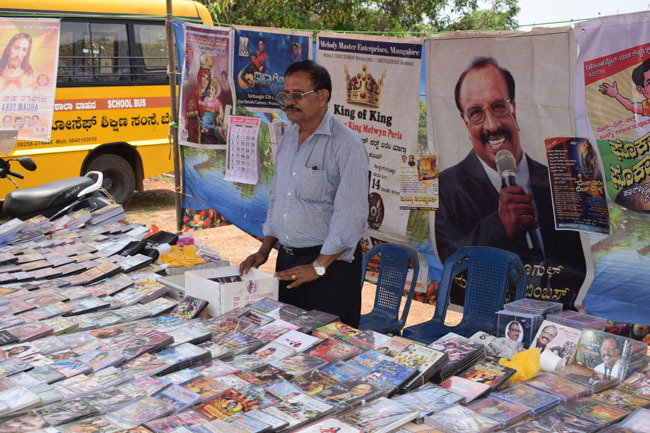 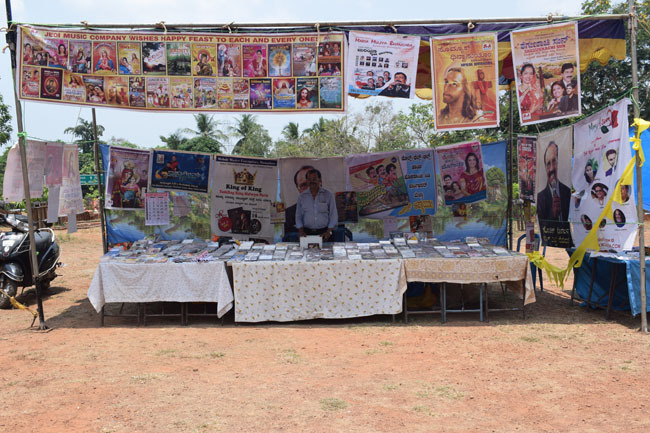 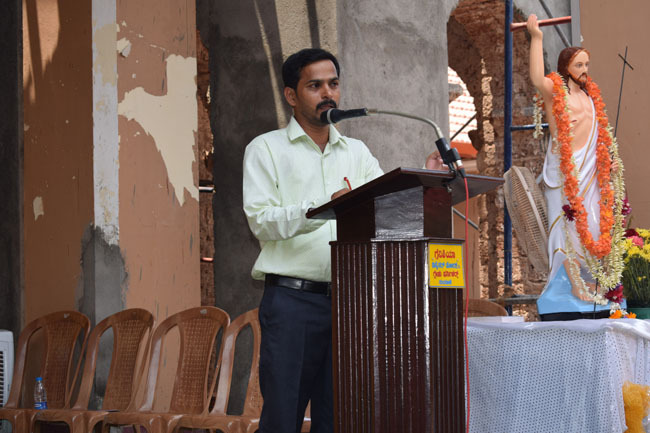 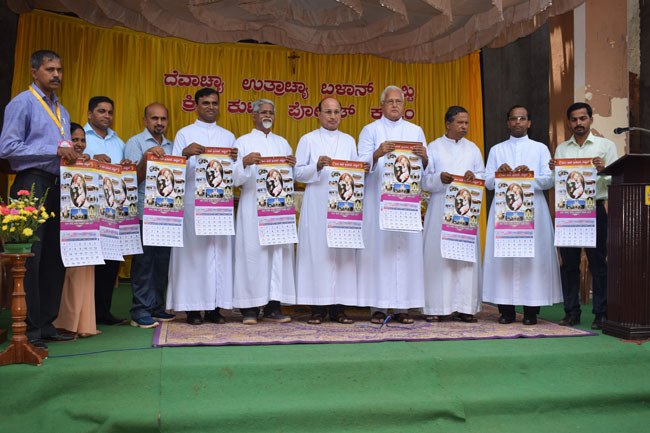 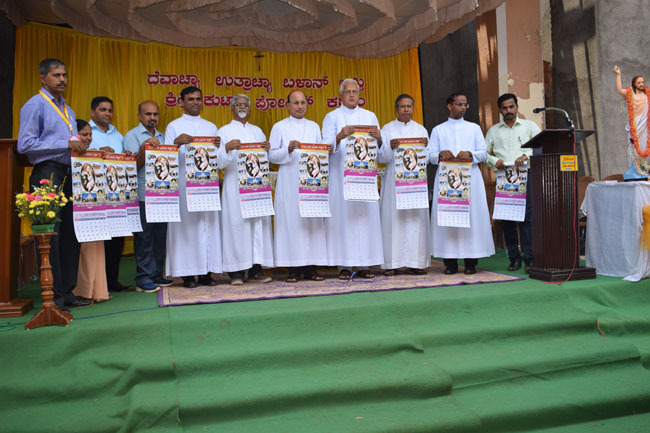 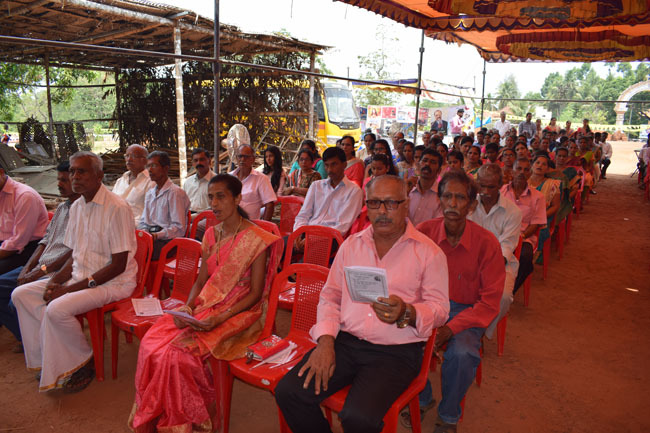 Karkala deanery vicar Fr Stany Tauro released the calendar and delivered his message on this occasion. 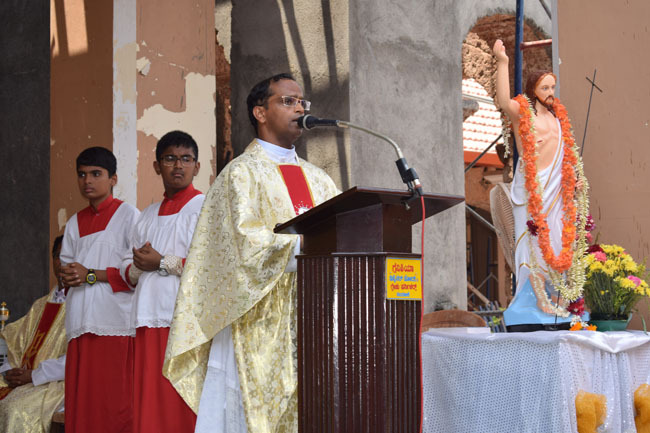 Belman parish priest Fr. 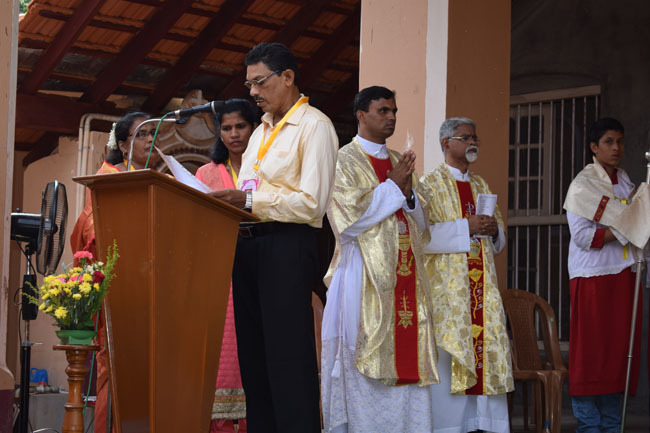 Edwin D’Souza welcomed the gathering. 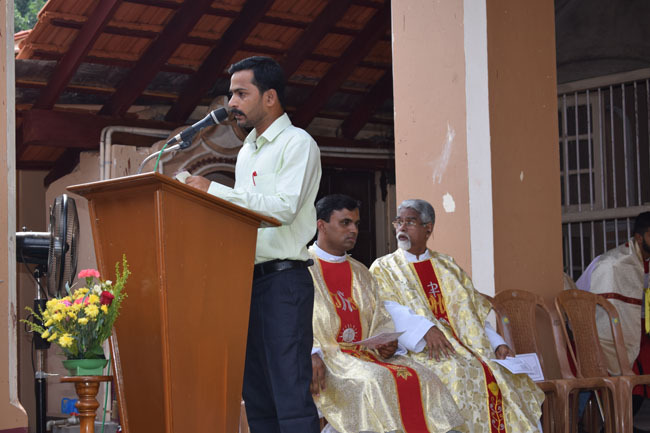 He thanked everyone who have helped and will help for this jubilee celebration. 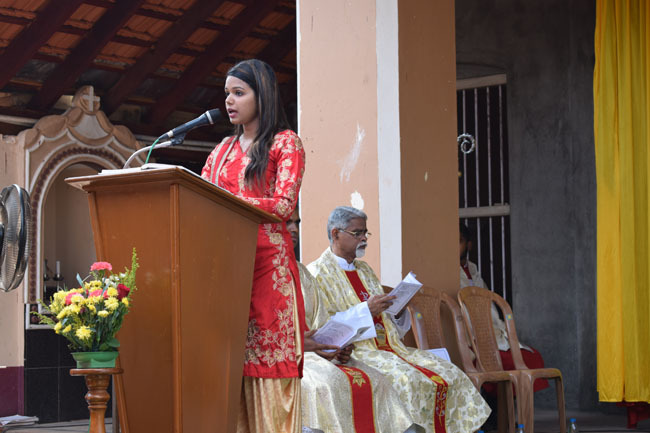 Belman parish council vice president Alwyn Agera read out the history of the jubilee year. 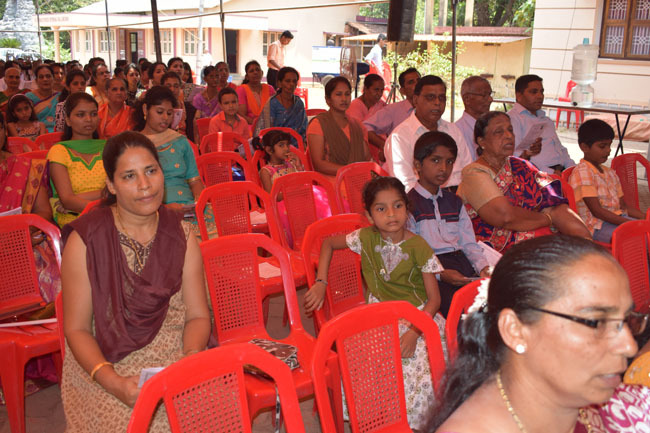 The refreshments were served to all. 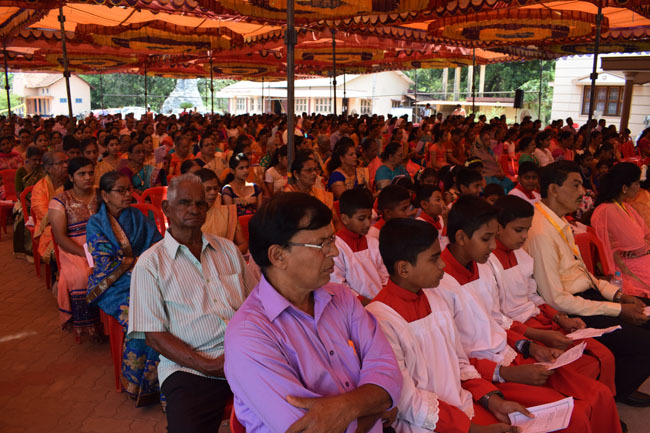 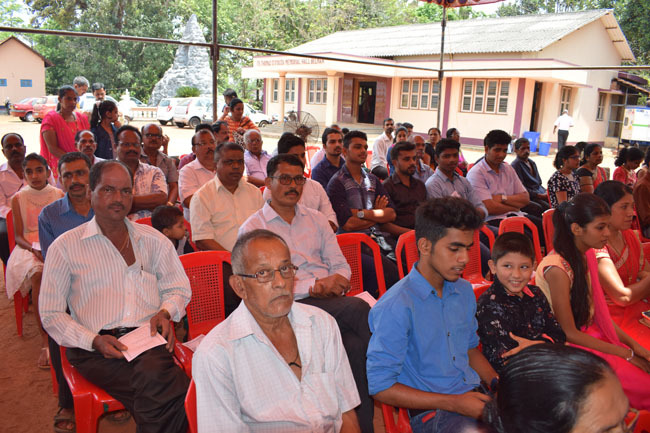 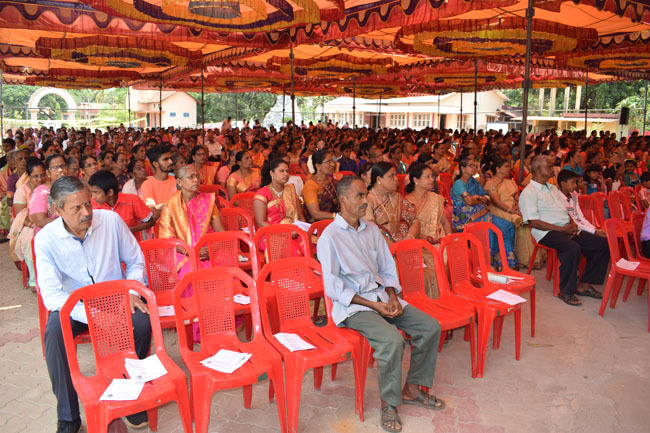 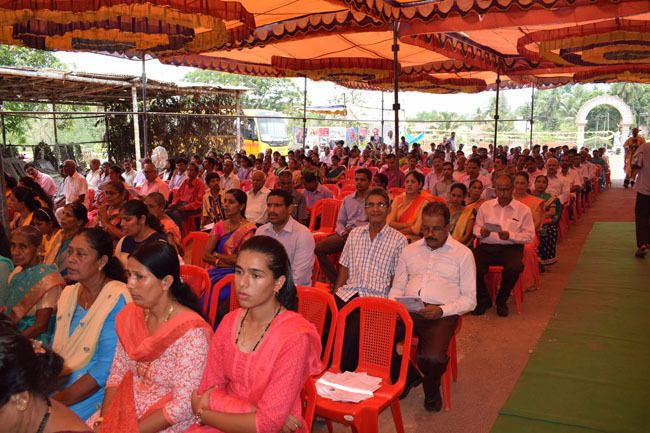 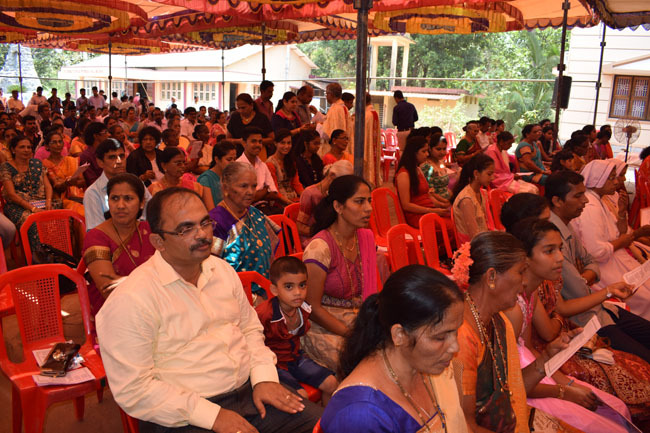 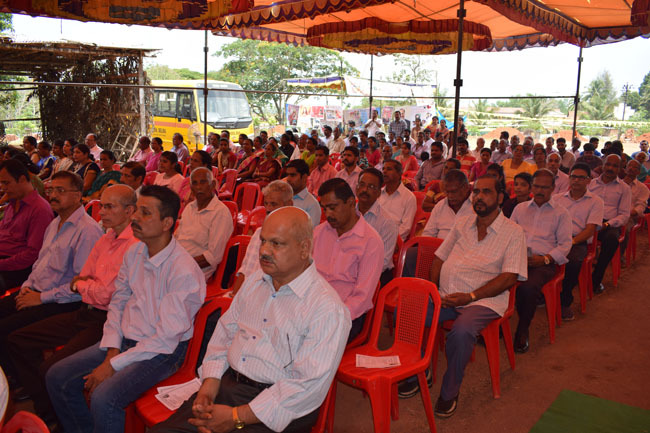 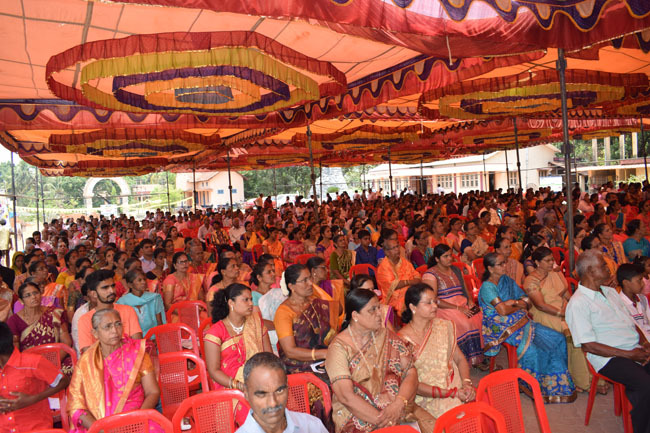 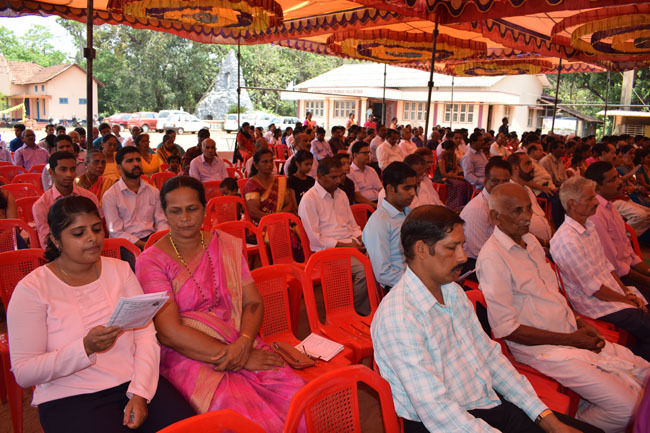 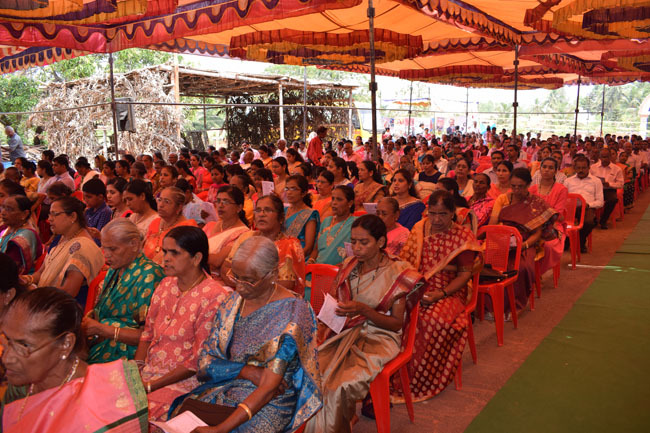 The congregation has commemorated the sacrifice of elders in making this parish vibrant in the diocese and continues to seek His blessings.